A friend of mine recently gave birth in the very same hospital that I did. Certain details of our experiences were close. We went into labor early due to unexpected circumstances. Her son weighed and measured closely to mine. They were placed one room away from where I was. Yet, in many ways, we were different. She gave birth the same day that she was admitted. Although she also had a c-section, she was up and about the next day, seeing plenty of visitors. She look tired, but still had a smile on her face. I recall my own time, and it was just so different. I felt a little pang of sadness, because I wasn’t anything like her during my own time. I was in the hospital for 7 days. I also had a c-section, but had to be put under anethesia because the epidural wasn’t working. By the time I was being wheeled into the operating room, I hadn’t really slept in the last few days. I had been in labor for the past 31 hours, and when it was all over, I couldn’t even hold my own child. I was tired and groggy. I couldn’t even manage to put my hospital gown on or comb my hair. I never took any visitors. I only held my son to feed him. The nurses had to force me out of bed two days after birth. All I felt was empty and different. Things changed so quickly for me, and I didn’t know how to deal. I wanted to be there for my friend. She went through a rush of events in such a short time, and so unexpectantly. I wanted to be there for her. I wanted to tell her how proud I was; she is such a strong and amazing person. She was doing great during her first few days as a parent. The smile on her face was genuine, and she had the new mommy glow that didn’t appear on my own face for weeks. The other half of me was scared. I was doing so well, and I could now retell my own story to people who would listen. However, what would it be like to really be back? To sit in the same area and hear someone’s experience? How would I react to hearing her birth story and seeing the same location where I stayed? Could I handle it? I really had to think about this. What did it mean if this was all a trigger point? Was I really better ? The thing is, it has been 13 months since my life changed. I’ve gone through ups and downs. I’ve learned quite a bit about myself, including fears, triggers, and strengths. I’ve become a better version of me. Somehow, in between all of those struggles and changes post birth, I found my way. I realize that I have said it many times, but I feel a larger sense of self and clarity. I’m not confused or afraid of who I am or what I went through. I’m not afraid of judgement from other people, nor am I ashamed of what I’ve experienced. Instead, I’ve made my peace over how I came to be, and take it for what it is – life experience. Because of all this, nothing I saw or heard from my friend didn’t affect me negatively. I was so happy to see her and her family. 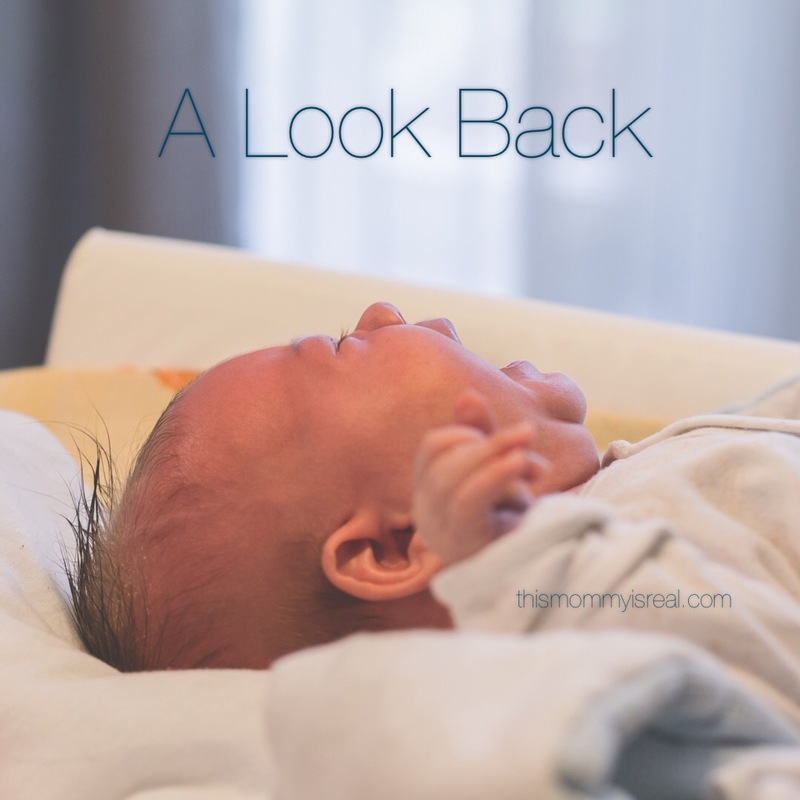 I held her newborn and felt a pang of nostalgia – my son was this small so many months ago. I looked into his sweet face and did not feel anything but happiness for my friend. I didn’t feel envious or extreme guilt. I was able to recall my own experiences and give her tidbits of advice without issue. I was genuinely happy for her, and excited that we had yet another common factor in our lives to share. I couldn’t wait to do more mom like things with her. This meant so much. It was validation that the past and my experience no longer affected me like it used to. I have learned and moved on. I couldn’t be any more happier. ← 1 Week until Poshmark’s Birthday! No one can invalidate your birth story, but you. Take pride in what you did! Thanks for sharing your story. I’m glad you are able to share it freely now! It will inspire others who have had a similar experience. Hugs! Such an exciting time but full of emotions. With my first, I had a c-section after a day of labor and was exhausted. I really didn’t want to see anyone for quite a while. Everyone is different. I’m glad you are happy and doing well. Your birth story is yours and yours alone; I’m so sorry it didn’t turn out how you wanted, but there is beauty in it. And you’re a wonderful person to be there for your friend like that, despite your own pain. This is such a beautiful story. I love it when we come full circle, and are at peace knowing that it was ll worth it ❤ Congrats and blessings!